This is the adaptation of a classic story, where the story revolves around Sofia, a little girl who is orphaned and since then has trouble sleeping every night. One of those many sleepless nights, in which she only turns her bed in the cold room of the orphanage, she decides to break one of the rules imposed by the institution and looks out the window, something completely forbidden but that she decides to do. Then from the window he sees something extraordinary: there is a giant in the outskirts, a huge man, that while people sleep, he peers into the houses. 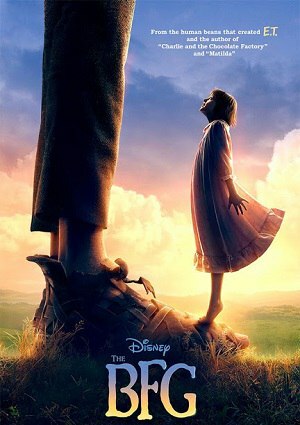 The giant realizing that the girl is spying on him, decides he should take her to know the world of the giants.